KAREN KAY BUCKLEY-Perfect Scissors. 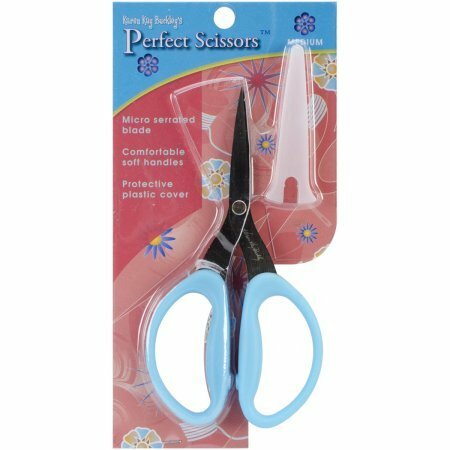 These scissors have serrated blades which helps to keep fabric from slipping so cutting is more accurate. The scissors can cut through 4-6 layers of cotton fabric, help to prevent frayed edges and have comfortable soft handles. This package contains one 6 inch pair of scissors with a plastic cover. Imported.